- Ultra-thin body, easy to carry. - Double-sided ignition, tungsten wire is more durable, double-sided protective sheet, fast ignition, no flame. - Powered by a rechargeable battery. No Gas/Fuel Is Required. - Fast sensing ignition in any weather. - Perfect household BBQ & travel gadget. - It has a fashion outlook,that will make you to be very attractive in the group. - This product USB connection only for charging, can be connected to a computer, cell phone chargers and other charger. 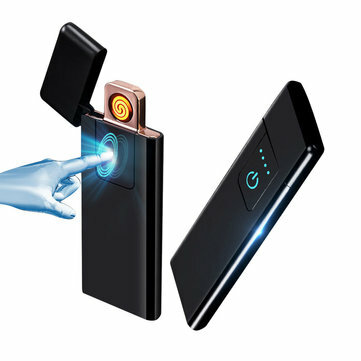 - The initial use of long periods of non use, connect the charger, then disconnect and reconnect the charger. After fully charged immediately disconnect the power source.